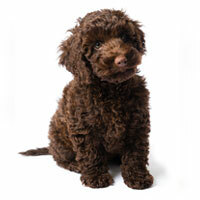 What Is a Medium Labradoodle? Not too big, not too small…but just right. Say hello to medium Australian Labradoodles! 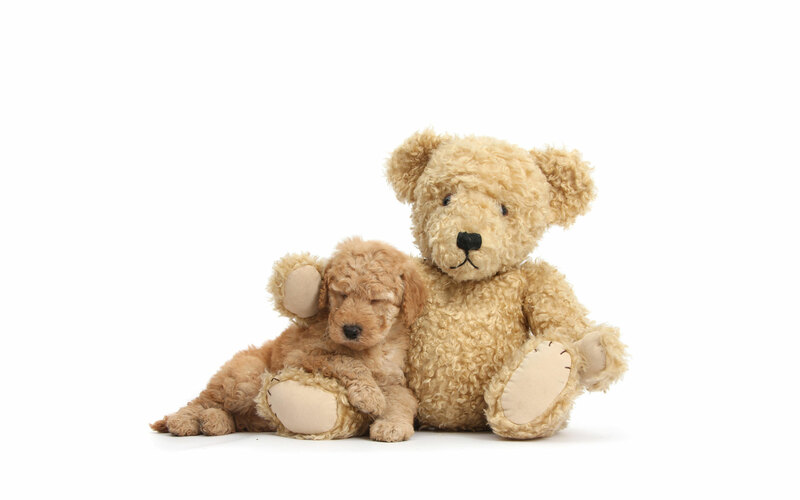 Like their cousins, medium Labradoodles are the complete package—energetic, fun, hypoallergenic, playful, loyal…they’re just about everything you could want in a dog. Keep reading to find out why tons of people looking for puppies for sale are falling in love with our medium Labradoodles! Medium multigenerational Australian Labradoodles differ from Labradoodles in that the latter are typically only a cross between Poodles and Labrador Retrievers. 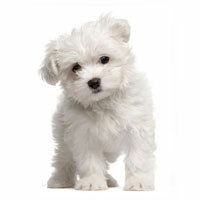 The multigenerational means that the pups we sell are the result of at least 3 successive generations of Labradoodles. This ensures that our dogs exhibit all the best Doodle traits while minimizing the undesirable traits of their parent breeds. 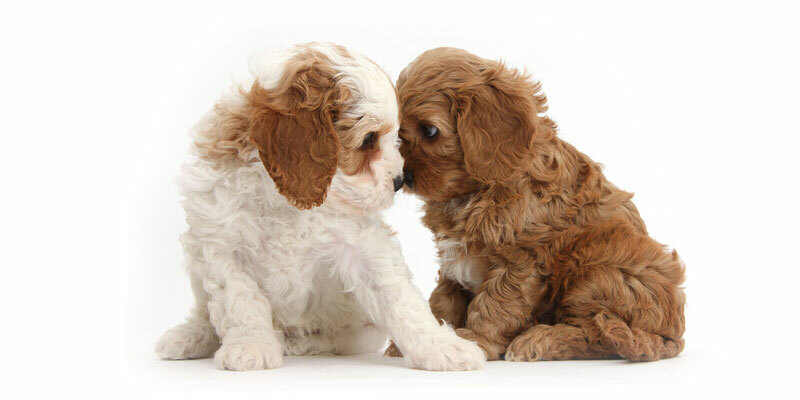 Each breed in the Aussie Labradoodle mix serves a unique purpose, from the Poodle’s hypoallergenic coat to the Retriever’s incredible personality. Our medium Labradoodles are the result of years of hard work and dedication to breeding the best dogs possible, period. How big are medium Labradoodles? Medium Labradoodles fit exactly where you think they would on the Doodle size spectrum—smaller than standards but bigger than miniatures. Medium Labradoodles are frequently chosen by families who want a travel companion who won’t take up the whole back seat, people who don’t have tons of room for a bigger Doodle to play, or people who just prefer medium-sized dogs! The most important thing to note is that no matter the size, our Labradoodles are bred to have consistent personalities and coats. 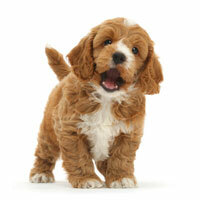 Whether your adult Doodle is 15 pounds or 50 pounds, we strive to meet the same expectations with all of our puppies. Usually, you can expect your medium Labradoodle size & weight to be around 30 and 45 pounds, and stand between 17 and 20 inches tall at the wither. Should I buy a medium Labradoodle? Good question! That depends on how much exercise you can give your new friend, and how much space you have at home. While medium Australian Labradoodles are smaller than standard Labradoodles, these dogs still need lots of exercise to stay happy. 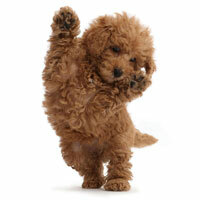 Medium Labradoodles are great for active people or those with a big yard. Even though Labradoodles are very well-behaved, keeping a medium or large dog cramped up inside all the time will make him or her restless and unhappy. 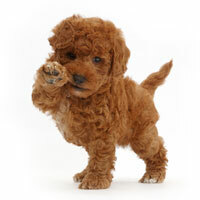 Remember, your Labradoodle LOVES to play and run, no matter the size! From an apartment to a sprawling country house, odds are we have a Labradoodle to fit your lifestyle. 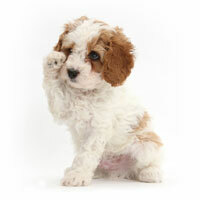 Get in touch with us right now for help choosing the perfect pup—we currently have medium Labradoodle puppies for sale!